Midwives discuss the range of contraceptives available to clients. Thandar Oo looks older than her 38 years, but as she begins to speak it is apparent that the last year has taken its toll. Thandar did not use any contraceptives during the first five years of her marriage, which resulted in an unintended pregnancy, and sadly a stillbirth. She then had a healthy daughter, now six years old, and eight months ago gave birth to another child. As she continues to speak, her voice starts to falter and the pain is clearly etched on her face. Her son died five days after being born. Now wiping away tears she says: “I couldn’t eat or sleep for many weeks. My husband and I decided that we could not go through the pain of trying for another child”. She read about Depo-Provera, an injectable birth control method that lasts for three months, in a pamphlet at her local urban health centre, one of several contraceptives supplied to primary, secondary, and tertiary health facilities in Myanmar through the Ministry of Health (MoH), supported by UNFPA’s flagship programme, UNFPA Supplies. Thandar Oo talks about the pain of losing her son five days after his birth. Thandar says she now has, “peace of mind” as she knows the Depo-Provera injection will last for three months and is easily accessible from the mobile health clinic which visits her ward. Hnin Yu Hlaing has two children, and neither she nor her husband want another. She receives her Depo-Provera injections at the local urban health centre. She echoes Thandar’s sentiments that the Depo-Provera injection gives her a sense of security. Both women live in Hlaing Tha Yar Township, a peri-urban suburb of Yangon, with a population of 687,867 according to the 2014 Myanmar Population and Housing Census. In 2014, Myanmar joined UNFPA Supplies with the goal of building stronger health systems and widening access to a reliable supply of contraceptives and life-saving medicines for maternal health. 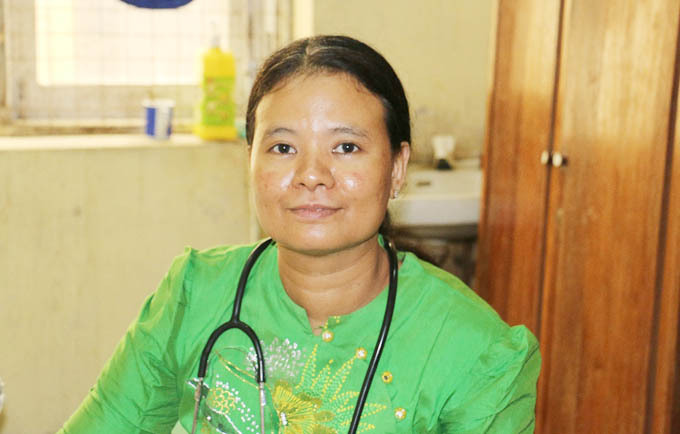 Dr Khin Yupar Soe is the Township Medical Officer and Medical Superintendent at Hlaing Tha Yar Township Hospital. She said that around five to ten women attend the daily family planning clinic at the hospital and have a choice of contraceptives including the Depo-Provera injection, the oral contraceptive pill, the intrauterine device, the emergency contraceptive and condoms – all supplied by the MoH, supported by UNFPA Supplies. She ensures that in-patients who have given birth, or women who have complications resulting from the termination of a pregnancy, receive information on the choice of contraceptives available to them. The Depo-Provera injection is by far the most popular contraceptive choice, and since its introduction in Hlaing Tha Yar Township in 2014, about 1,183 women per month have chosen it as their preferred method of contraception. Dr Khin Yupar Soe said: “Prior to the Depo-Provera injection, there were many unintended pregnancies which led to a rise in unsafe abortions”. She added: “Clients know that they can go to the nearest health facility and that Depo-Provera will be available and this has built trust in the public sector and has led to a decrease in maternal mortality”. Due to the newly introduced Logistics Management Information System (LMIS) supported by UNFPA Myanmar, and the procurement of 3.2 million Depo-Provera injections in 2014 for the MoH through UNFPA Supplies, and a further 1.7 million in 2015, no stock-outs have been reported at any level of health facilities in Hlaing Tha Yar Township. 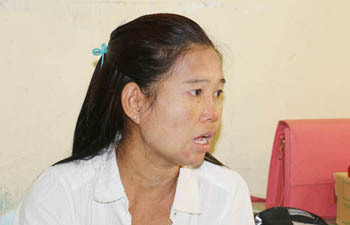 Daw Ni Ni Soe, a midwife at a primary health centre in Hlaing Tha Yar Township, said that many of her clients are poor. Now that contraceptives are available in their local area they do not have to travel. She believes that the UNFPA Supplies programme has resulted in the expansion, accessibility and availability of a choice of contraceptives and is preventing unintended pregnancies and unsafe abortions. Importantly she added: “Birth spacing has social and economic benefits for the family and results in better nourished children”. UNFPA Supplies certainly seems to be delivering results in Hlaing Tha Yar Township. Dr Khin Yupar Soe, Township Medical Officer and Medical Superintendent at Hlaing Tha Yar Township Hospital, says that the availability and accessibility of the Depo-Provera injection has built trust in the public sector health system.